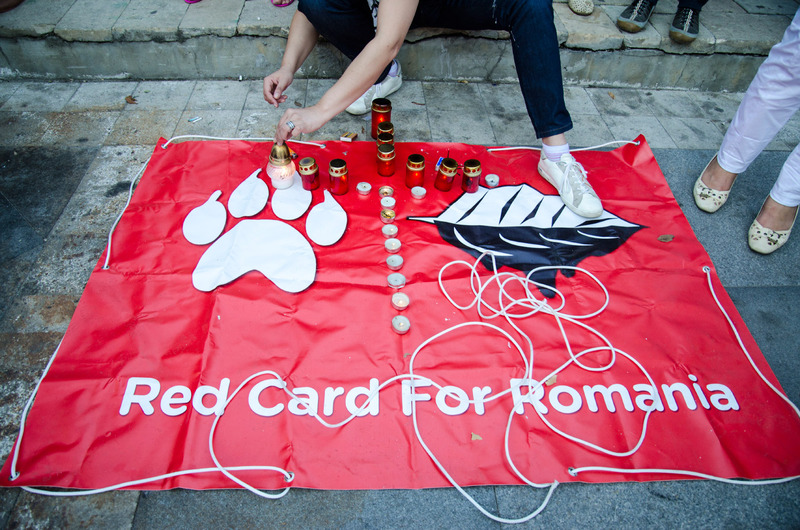 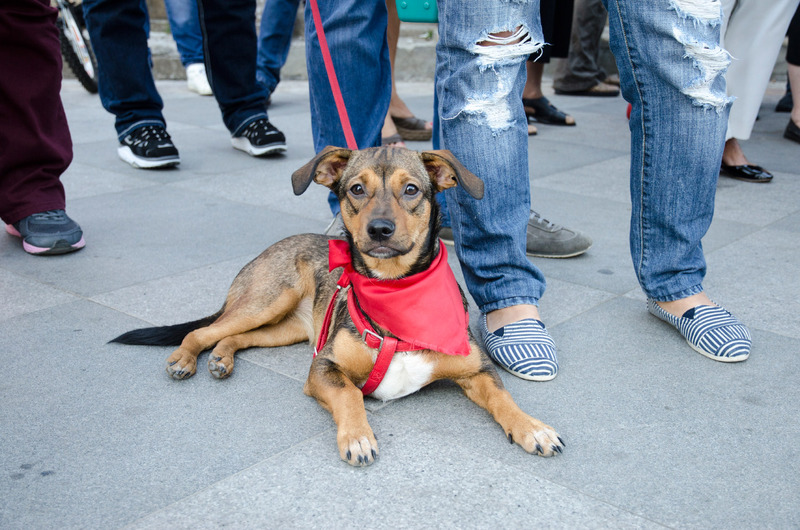 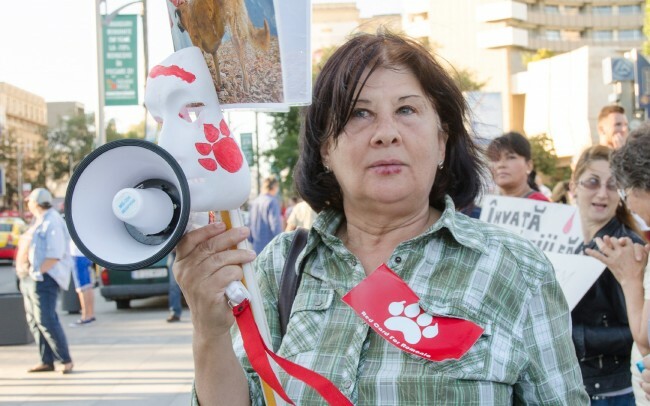 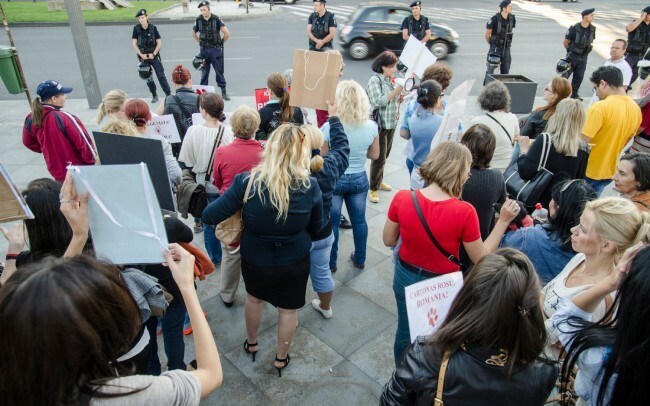 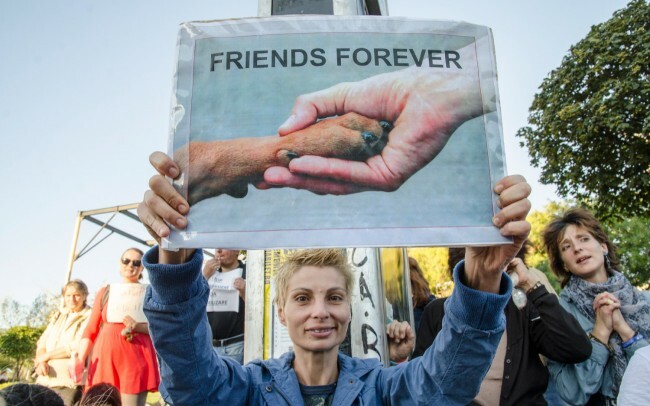 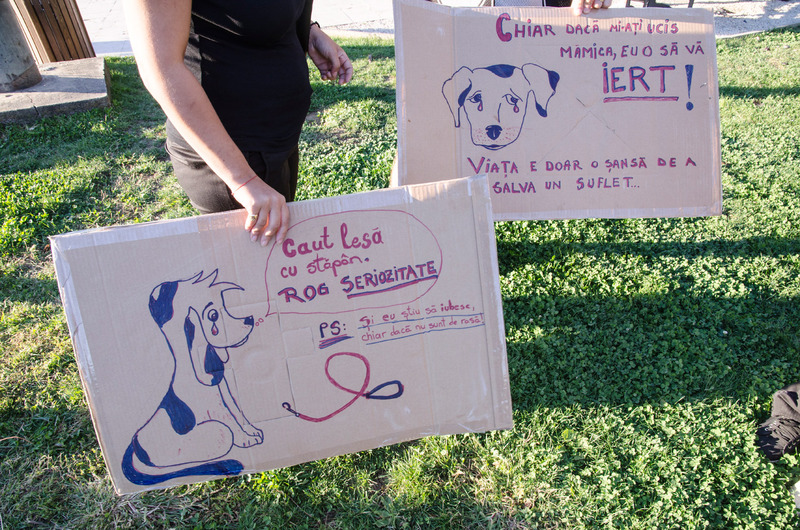 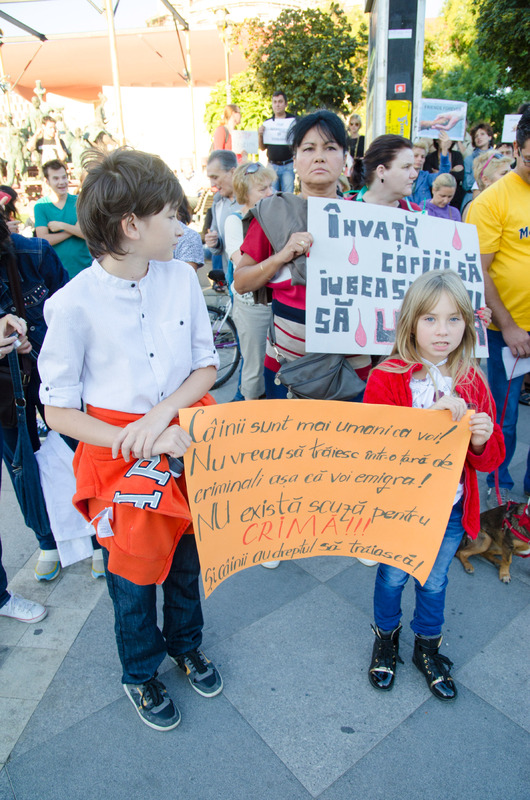 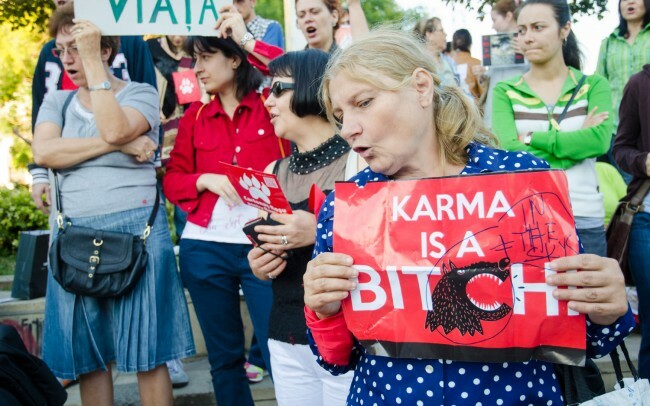 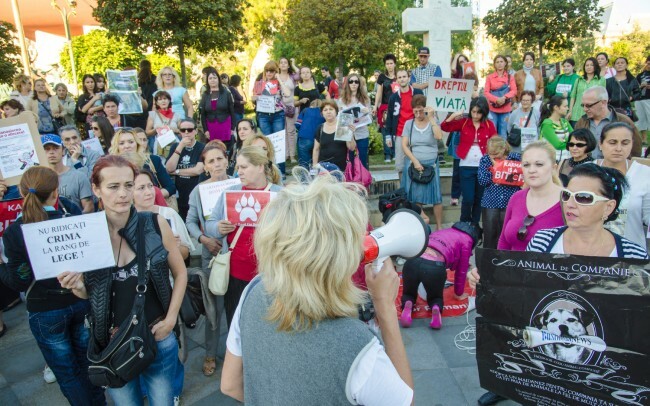 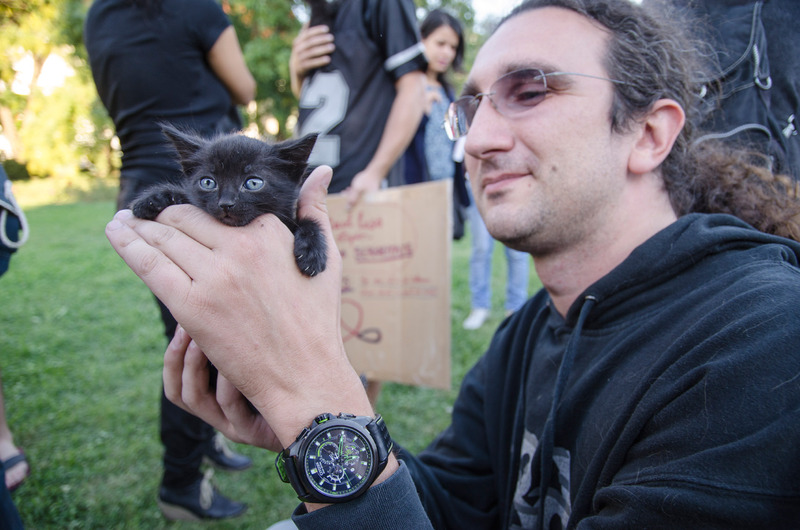 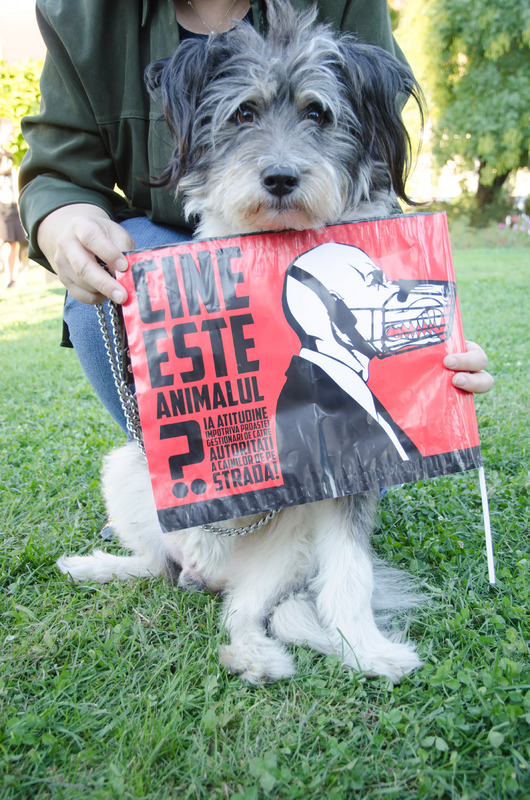 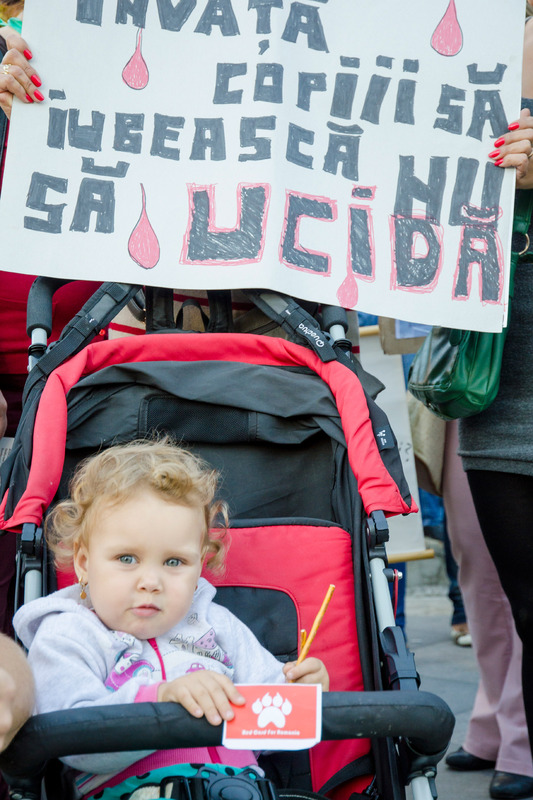 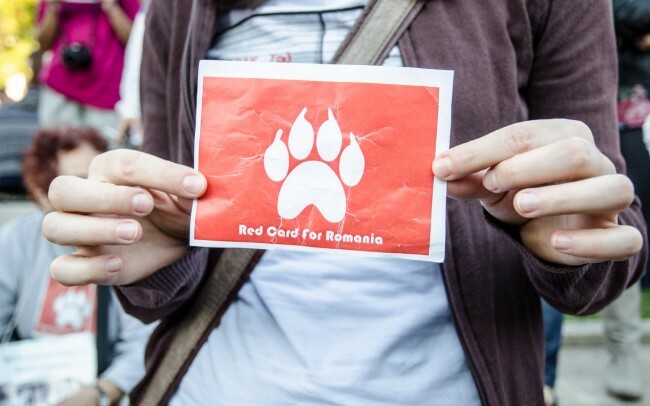 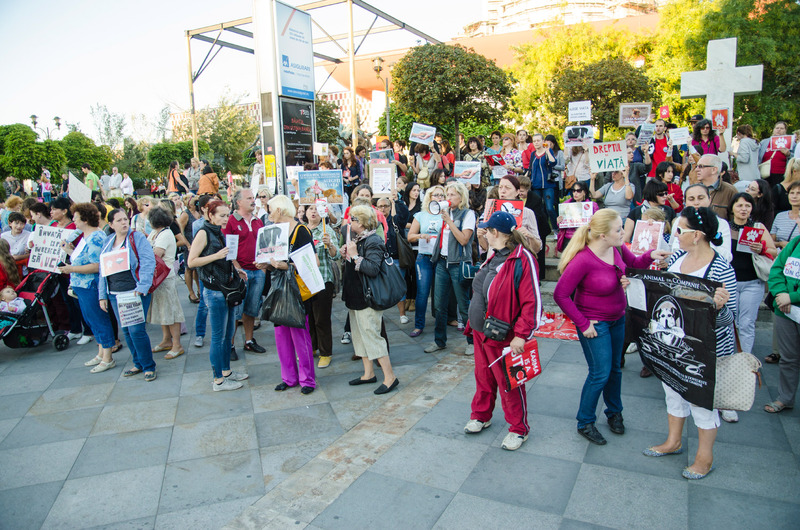 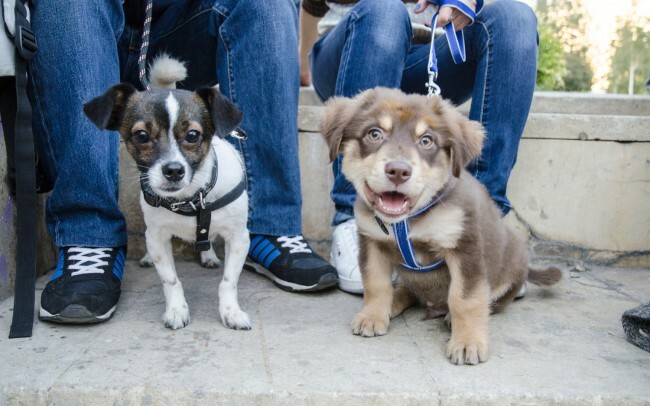 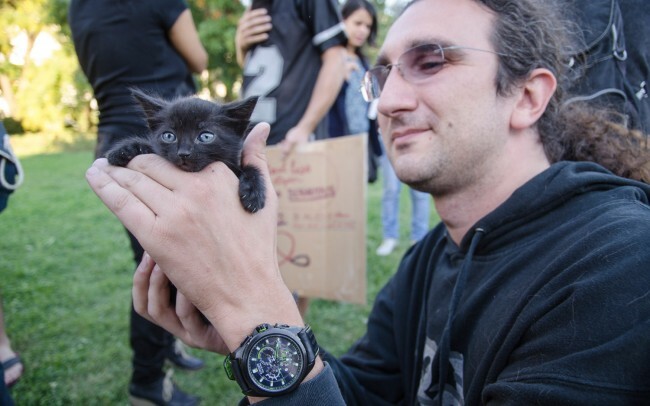 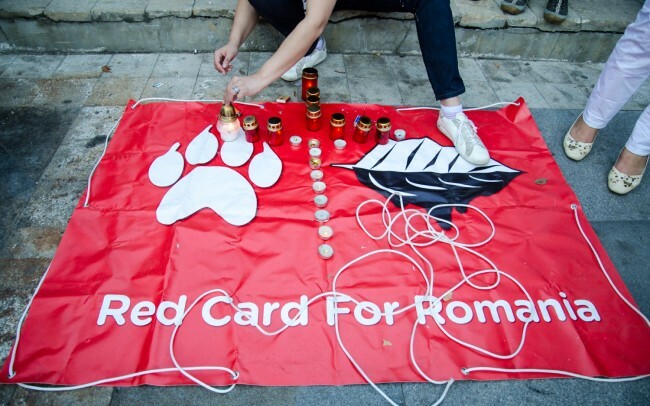 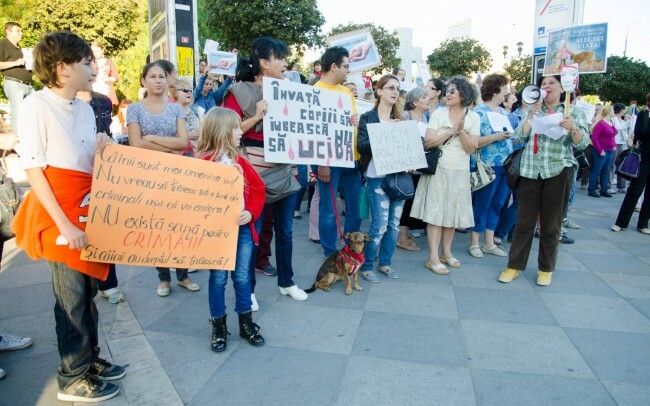 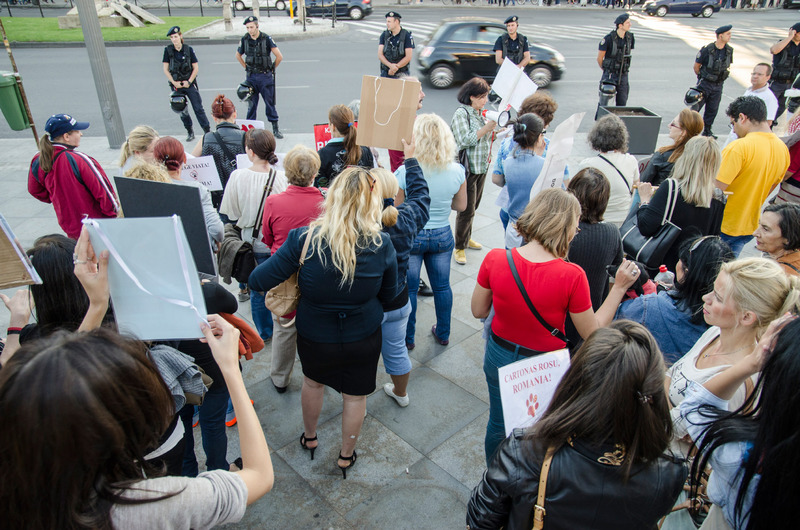 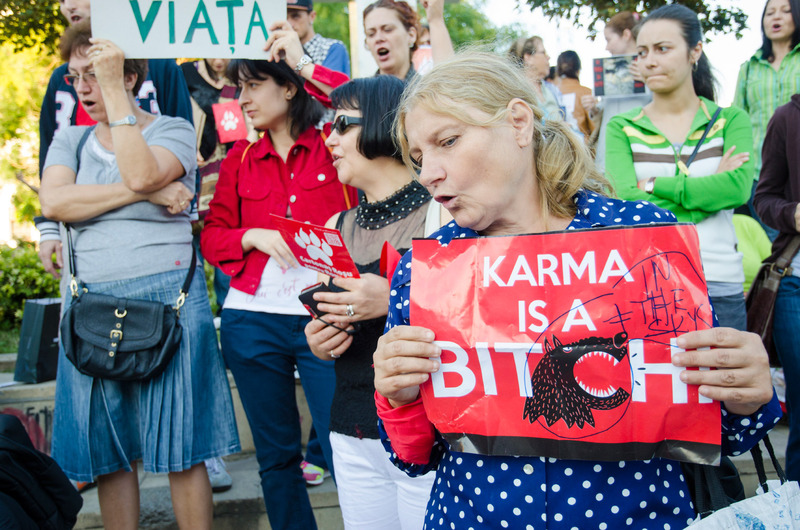 On the 15th of September 2013 in Bucharest around 200 people gather in the University Square to protest against the euthanasia of stray dogs. 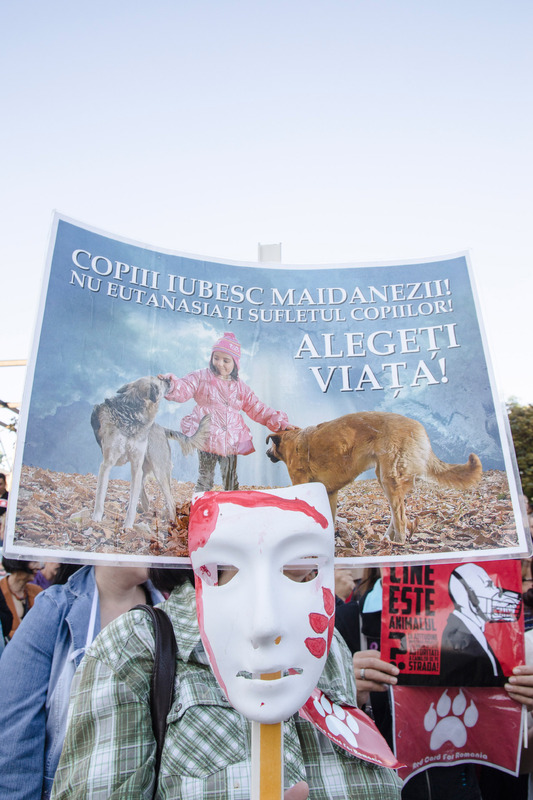 They chanted “We are the voice, the voice of the animals”, “Where are the money? 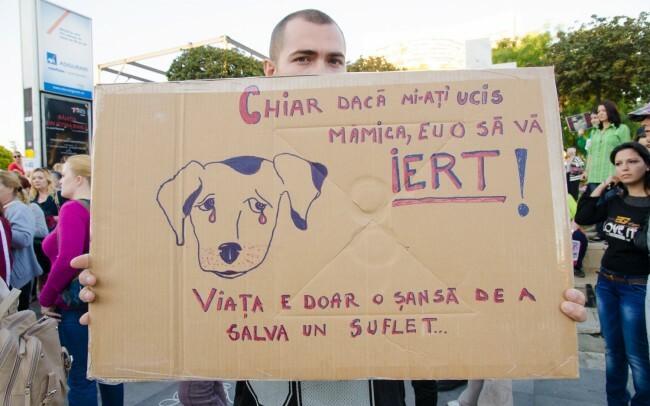 The money of the stray dogs?” and “You stole the money, the money of the stray dogs”. 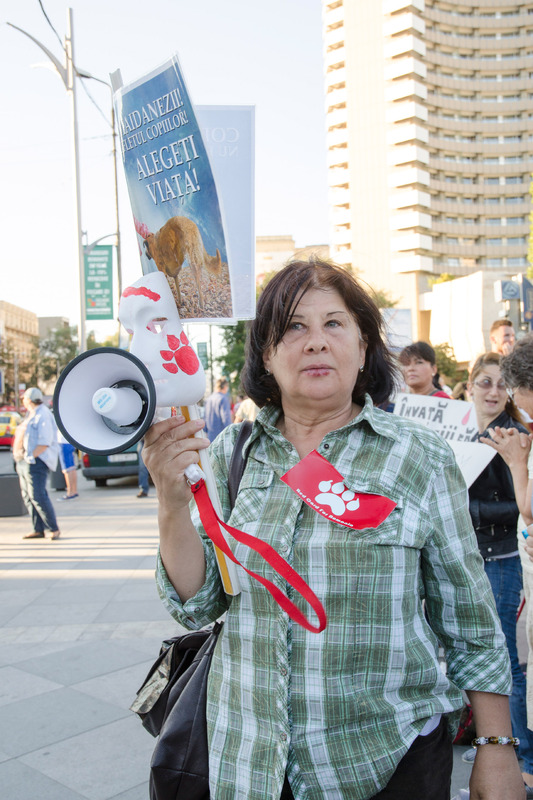 The woman in the front with the megaphone was telling people of dogs and cats that are present or at the shelter and who need an owner. 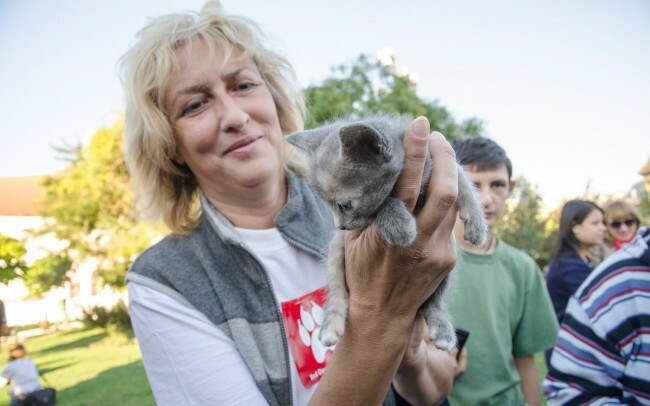 Thus, some of the animals were adopted. On the placard people wrote things like: “Even if you killed my mother, I forgive you. 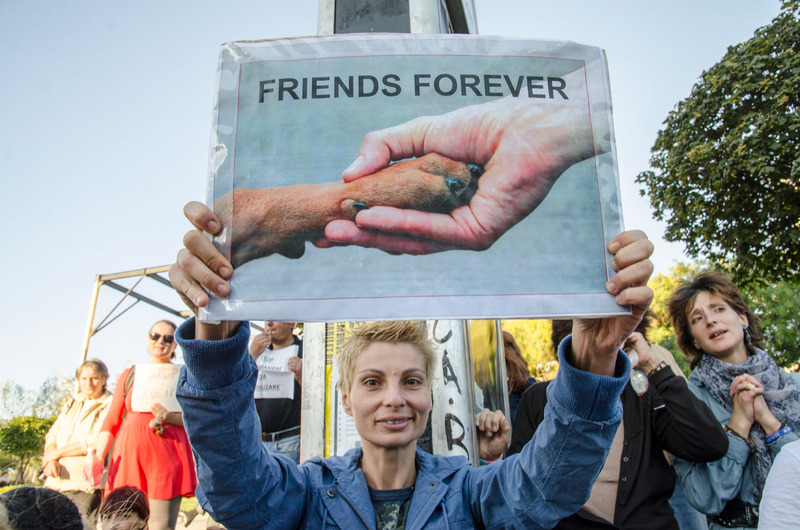 Life is just a chance to save a soul” (near puppy’s crying face) or “Teach kids to love not to kill”. 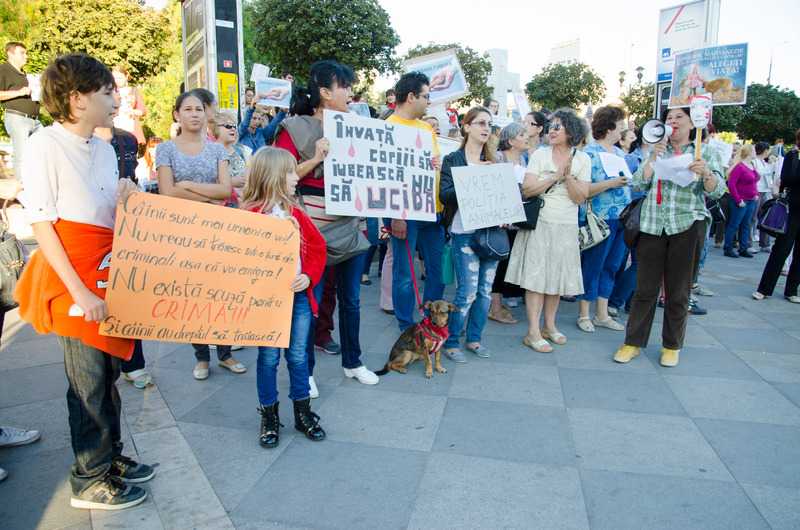 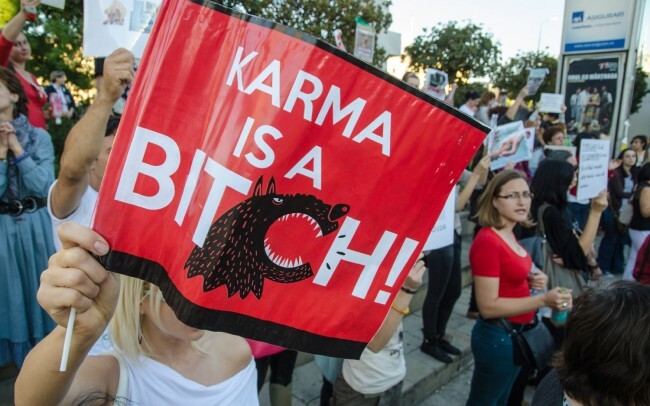 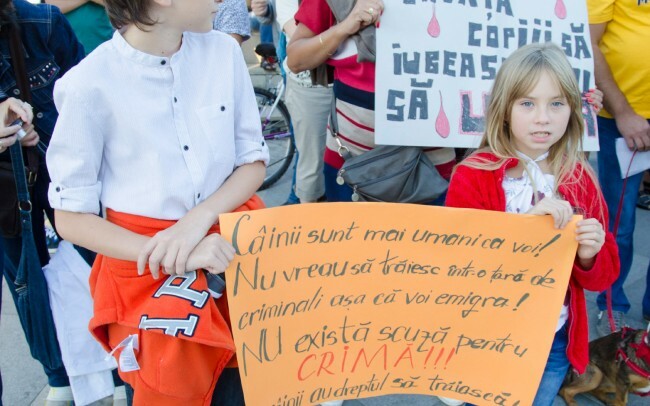 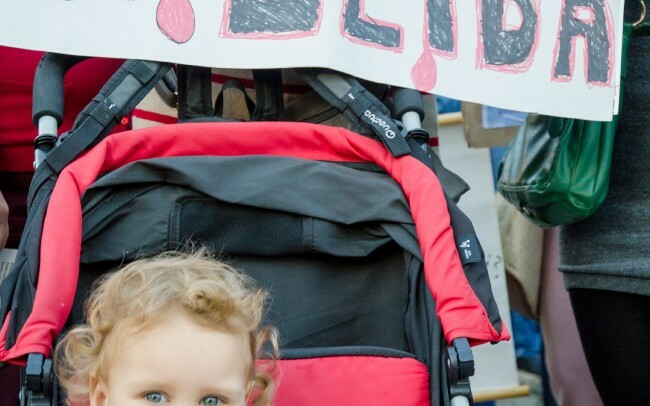 These protests started about 2 weeks `before when a 4 year-old child was killed by stray dogs and people started demanding action to be taken. 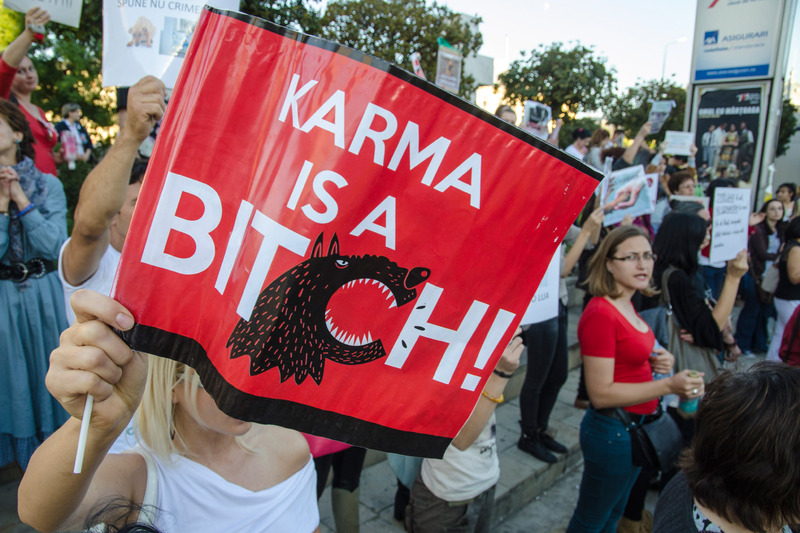 For that reason, a week later an amendment regarding this subject became valid. It stated that stray dogs which are not adopted from the shelters within 14 working days will be put down. 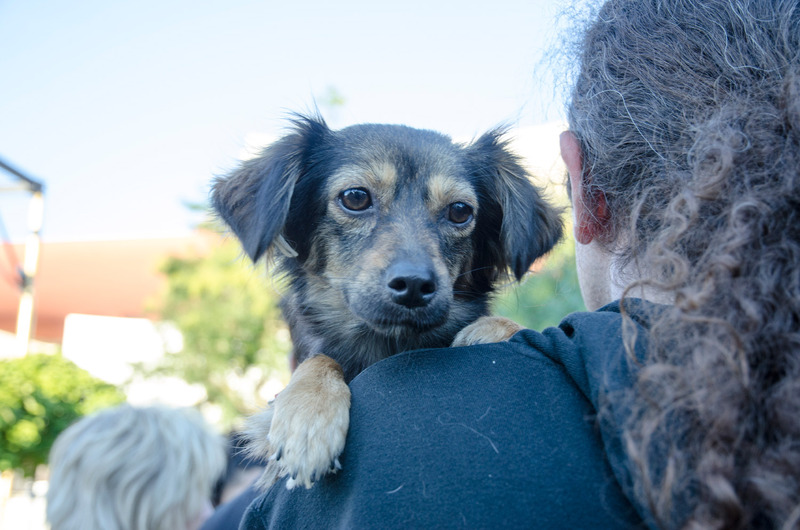 At the same time, if a stray dog is found to have an incurable disease by a veterinarian, the dog will be euthanized. 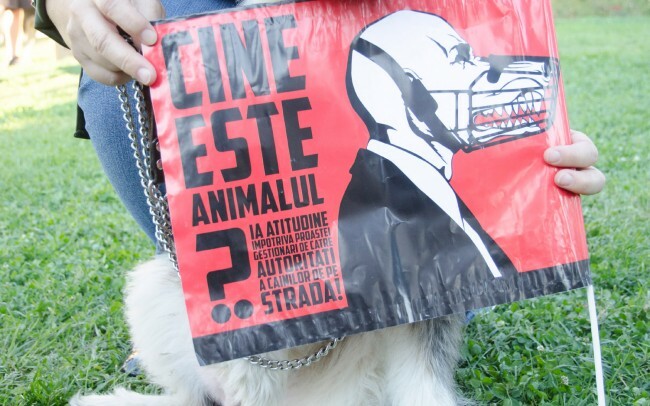 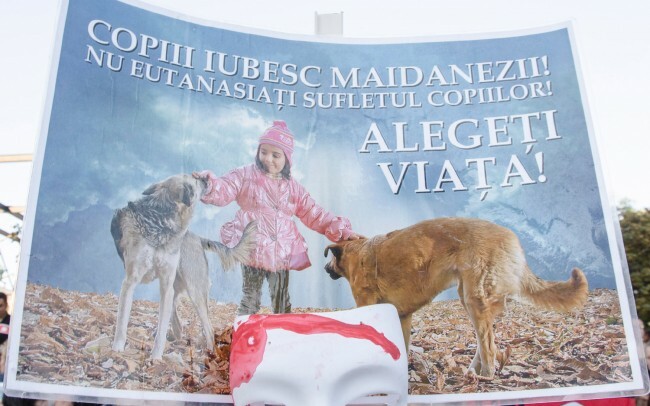 Deputy Adrian Oros from Cluj declared on the 15th that he will make a legislative proposal regarding the establishment, at a national level, of a record of all dogs which have an owner. 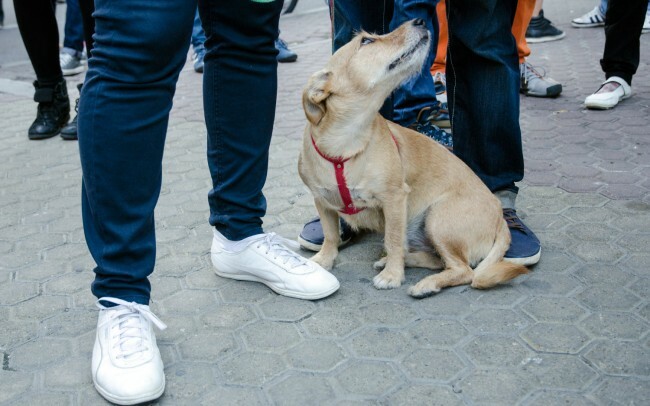 The main advantages of this register are that there will be constant information regarding the number of vaccinated dogs, while the number of stray dogs could be reduced and people who abandon their pets could be sanctioned. The project will be submitted in one week.